The love of travelling is one of the reasons why Queenslanders Phil and Sheryl Bennett have been exploring parts of Australia. Following retirement, they found that cycling was another way to explore many areas. With their small motorhome able to carry their bikes, they now make annual journeys to various locations around Australia to also ride off-road trails. On their current trip to Victoria, Phil and Sheryl explored central Victorian trails, which including the O’Keefe Rail Trail. Having based themselves at a Bendigo caravan park, they explored Bendigo via the Bendigo Creek Trail, then rode the rail trail from Bendigo to Heathcote for an overnight stay. Of course the return ride to Bendigo incurred a small diversion to the Axedale Tavern, as Sheryl had heard that the Tavern’s Coffee House made a great coffee! Once their time in Bendigo was over, they planned to travel to Western Victoria exploring other off-road trails. 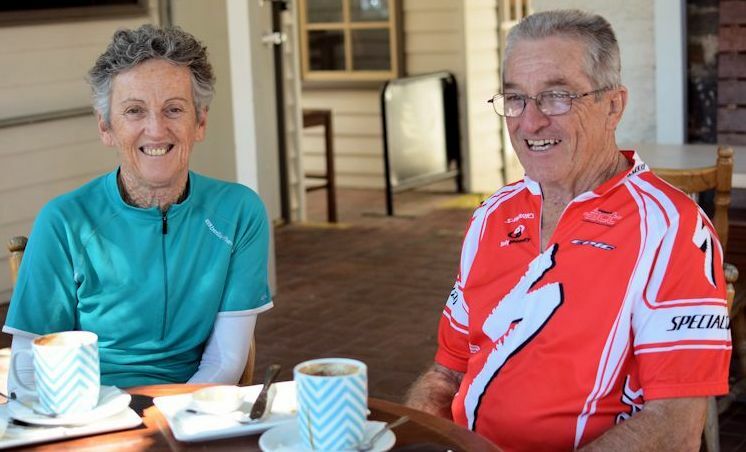 Since the O’Keefe Rail Trail has been extended and upgraded, it is now attracting the likes of Phil and Sheryl, as cycle tourists who usually stay longer in an area so benefiting the local economy.